Born in 1995, Stiletto offers super talent in both dressage and jumping. 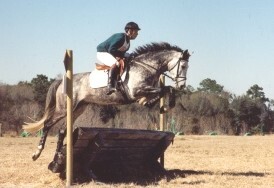 Stiletto was approved as a Breeding Stallion by the American Trakehner Association in June of 1999. 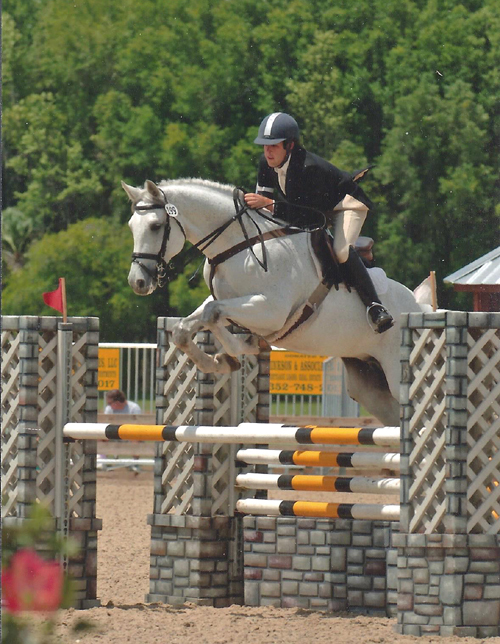 Stephan Dubsky finished Stiletto's stallion requirements, placing in his first event in 2000. He also won the ATA dressage futurity the same year with a 74% average for the season!! He backed up his pedigree by placing in Level 5 & 6 jumping classes while he was showing Pr St. George. 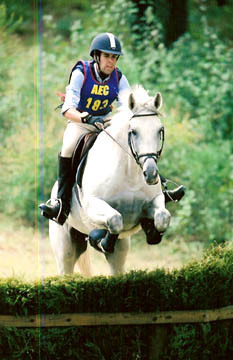 In June, 2006, Stiletto started his meteoric eventing career at training level. He placed in the ribbons at every event in his first season, first at Poplar, second in the American Eventing Championships at training level. At Preliminary he had two seconds and placed 4th in his first Preliminary CIC 1*. He was 8th in the 2007 AECs. He placed in Intermediate divisions in 2008. just two years after beginning event competition. His first CIC 2** was November, 2008. He is one of only a few Triathletes in the stallion field and we value this engaging, beautiful boy highly! He has three impressive gaits, a wonderful galloping stride and couldn't be more willing in training and comfortable to sit.. He has highly successful offspring in all fields, dearly loved by their riders. Check a few of them out on his offspring page. His daughter, Copycat Chloe, won the NYR championships at Intermediate level, now competing Advanced. 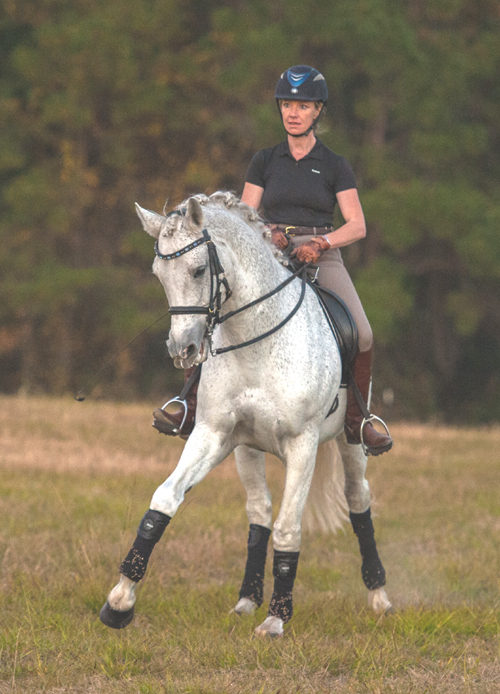 Ridden & trained by Andrew Palmer, Stiletto won Reserve Champion, open training level at the American Eventing Championships at the Carolina Horse Park with 68 horses in the division! 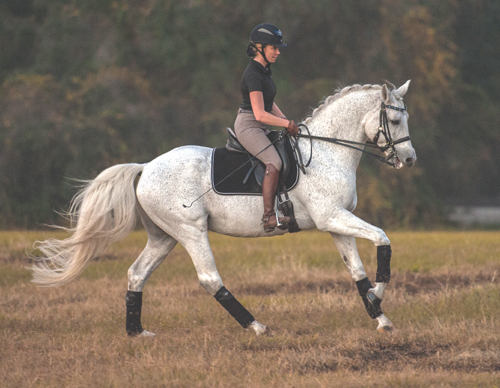 He retired from eventing at age 15 to continue his dressage training. With trainer, Iris Eppinger, Stiletto competed at Grand Prix dressage, winning Iris her gold medal and Stiletto his Performance Gold. This stallion has so much talent and trainability for all fields. It is an honor to have bred him, watched his success in all fields and to be part of his very successful career(s)!! !